Born in Oita Prefecture Japan, Key Sato (Kei Sato) was a student of Tetsunosuke Yamashita (1887-1969) before moving to Tokyo in 1925 to study Western-style painting at the Kawabata Art School and then at the Tokyo School of Fine Arts. He began as a figurative painter and his talent was recognised at an early stage with his work being shown at national exhibitions such as the Teiten (The Imperial Fine Art Exhibitions) from 1929 while he was still studying. Interested in the new art movements of the West and in particular the paintings of Paul Cézanne (1839-1906) and his contemporaries, Sato moved to Paris in 1930. During his time there, he exhibited at Salon d’Automne in 1931 and 1932. He also continued to send his work to the Teiten exhibitions from 1931 until 1934, winning the Tokusen (speciality prize) in 1932. He was acquainted with and inspired by various artists such as Henri Matisse (1869-1954), Pablo Picasso (1881-1973) and Léonard Tsuguharu Foujita (1886-1968) through his artistic activities in Paris before returning to Japan in 1934. 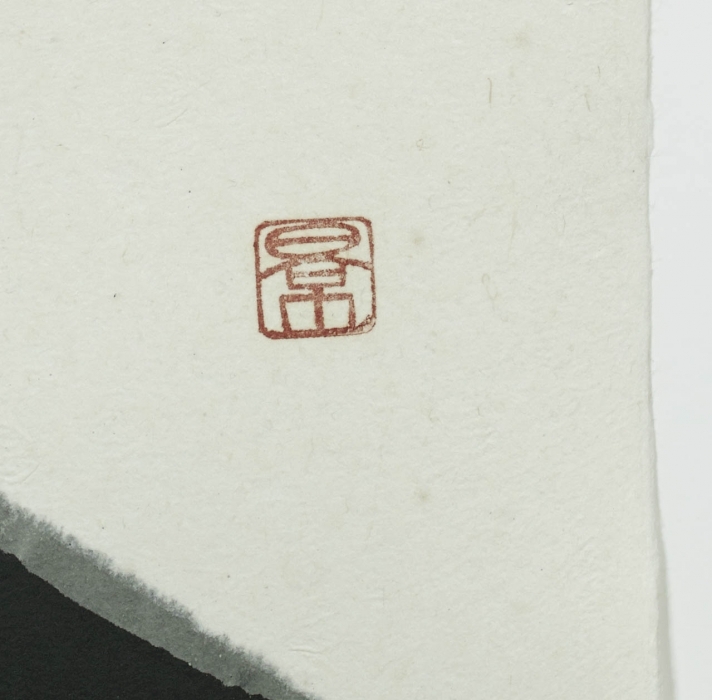 With increasing governmental interference in establishments such as the Teiten where Sato had exhibited for several years, the artists’ freedom was becoming compromised and so in 1935 he and several other like-minded artists founded the Dainibukai (The Second Art Circle), a foundation set up in opposition to the Teiten, without the controlling influence of the government. At the first Dainibukai exhibition of the same year, he was awarded the Bunkasho (Cultural speciality prize) and was nominated as a new member. In an effort to free themselves from the influence of the authority’s and to create an environment where artists could work with true freedom of expression, Sato and some other young artists such as Genichiro Inokuma (1902-1992) and Kazu Wakita (1908-2005) founded a new art society known as Shinseisakuhakyokai (New Creation Association, later Shinseisakukyokai) in 1936. 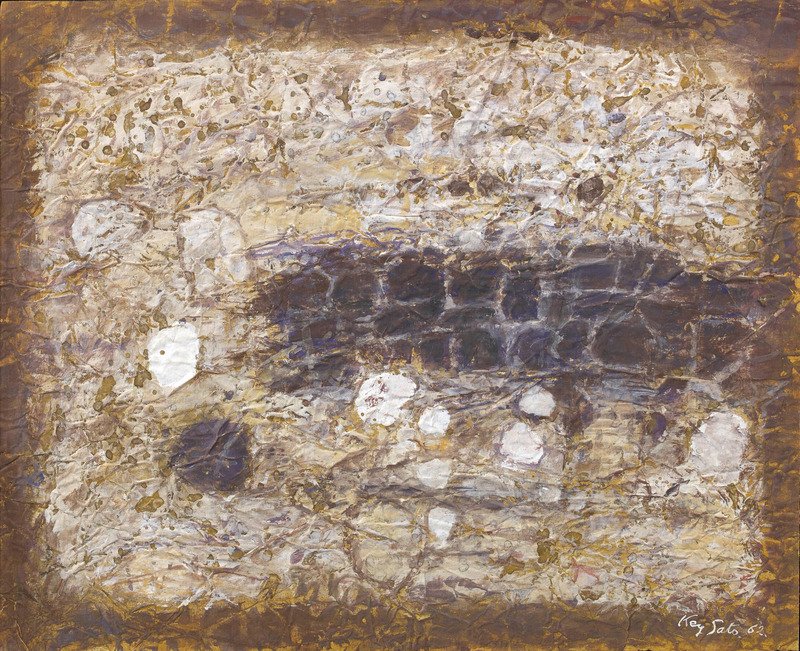 Sato continued to present his works at their exhibitions throughout his career. He worked as an official war artist during the Second World War and went on to extend his artistic activities, exhibiting at Bijutsudantairengoten (Union of Art Associations Exhibition) from 1948 to 1951, Shusakubijutsuten (Best Art Exhibition) in 1951, 1952 and 1955, as well as at the Carnegie International, Pittsburgh, in 1952. In 1952, Sato returned to Paris and settled there. 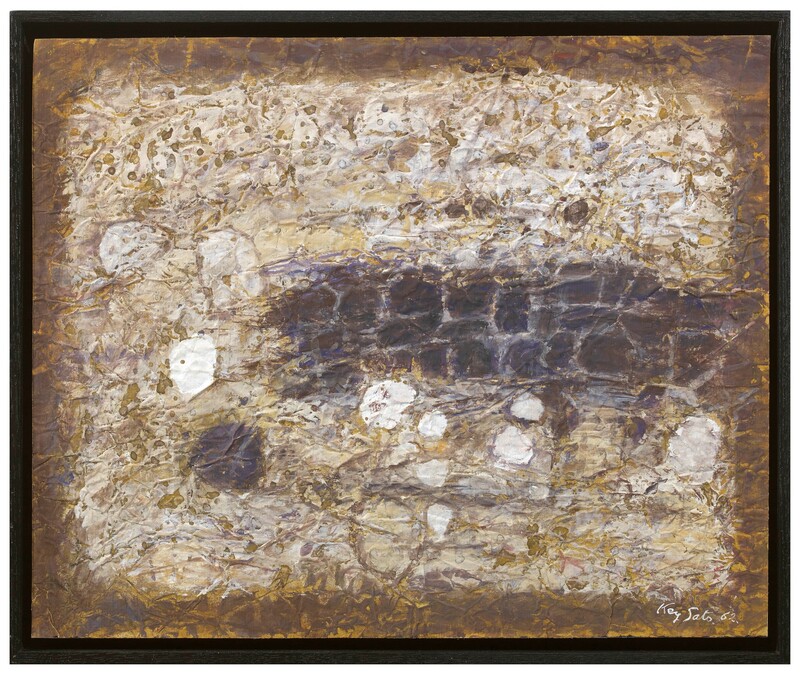 This is when he began to experiment with lyrical abstraction, suggestive of telluric, geology or fossils and he began to incorporate various natural materials such as rocks, stones and driftwood into his work, applying layer after layer to express his unique universe. 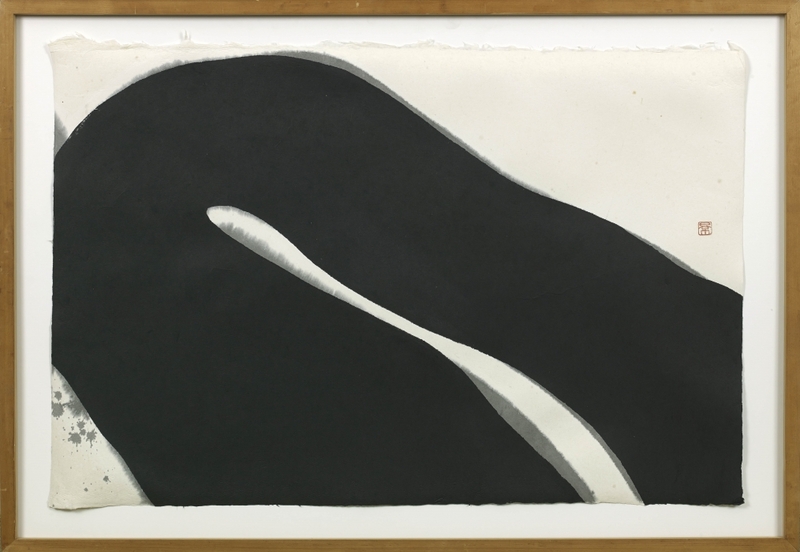 While having numerous solo shows, he also exhibited at The Salon de Mai (1956, 1957), the 30th Venice Biennale (1960), the Japan International Art Exhibitions (Tokyo Biennale, 1952, 1961, 1963, 1965, 1967), the 1st Japan Art Festival (1966) and at the New Japanese Painting and Sculpture exhibition at the Museum of Modern Art, New York (1966-67). In 1976, he was awarded the Order of the Sacred Treasure, Gold Rays with Neck Ribbon, a Japanese order established in 1888 by the Emperor Meiji and awarded for distinguished achievements. Works by the artist can be found in the collections of various museums including: Musée National d’Art Moderne, Paris; The National Museum of Modern Art, Tokyo; Oita Prefectural Art Museum; Oita Art Museum; Nerima Art Museum, Tokyo; The Museum of Modern Art, Kamakura & Hiyama; The Museum of Contemporary Art, Karuizawa, Nagano; Atheneum Art Collection, Helsinki; Musée Communal, Verviers, Belgium; Tate Gallery, London; Musée d’Arts de Nantes; Musée d’Art Moderne de la Ville de Paris; Musée d’Art moderne et contemporain, Strasbourg. SKU: 7657. Categories: modern/post-war, Paintings.